Killer Characters: An invitation to a duke’s wedding – and a giveaway! An invitation to a duke’s wedding – and a giveaway! Please allow me to introduce myself; I’m Althea Twyst, dowager duchess of Chellingworth, and I’m about to be known by another title, “mother of the groom”. Yes, I can hardly believe it, but my son is finally getting married. I had thought this day might never come, but, now it’s just a week away, I am beginning to believe it’s real. And about time, too! Henry’s in his fifties, and I had feared he'd never get around to producing an heir, but he’s marrying a much younger woman – well, given my age (almost eighty) and hers (in her mid-thirties) I suppose I could call her a “girl”, but that seems a little disrespectful of a young woman who’s made her own way in the world, building a solid reputation as a public relations professional. She’s been the PR manager here at Chellingworth Hall for a few years, and has made some changes which mean it’s now a little easier for Henry to cover the exorbitant costs of upkeep for the place. 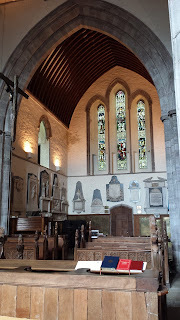 Given that some parts of the hall were built back in the early 1500’s you can imagine how costly it is to keep everything in tip top condition.The church where the wedding will take place is of the same vintage, and it's been given a good cleaning, in readiness for the ceremony. But now we can all forget about that for a while, and concentrate on celebrating a ducal wedding. 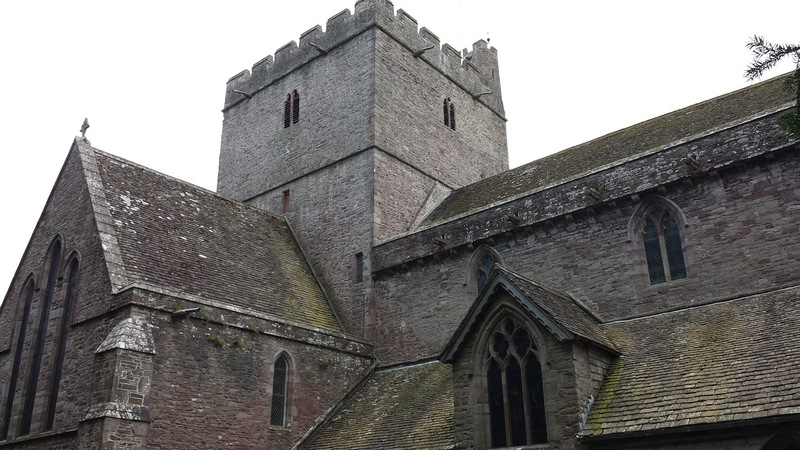 The ceremony will take place at St. David’s Church in the village of Anwen-by-Wye, then the happy couple and hundreds of guests will be led along a winding pathway by a troupe of Morris Dancers for about a mile, until they reach the hall itself. Henry thinks this is all a bit much, but I’ve told him – at his age – he needs every bit of help he can get to ensure his is a fruitful marriage, and Morris Dancers have led every duke and duchess of Chellingworth in this way for hundreds of years, so we don’t want to tempt fate. The entire village will attend, of course. I know there are plans afoot for the Young Wives’ group to make hundreds of Welshcakes for the reception, and Stephanie – that’s the name of my future daughter-in-law, and the next duchess of Chellingworth (thank goodness she isn’t named Kylie or something modern like that!) – has been working to ensure there’ll be thousands of daffodils in the church on the big day. A nice touch, I think, given that the event takes place on St. David’s Day, March 1st. The plans seem to be well in hand…now all we can hope is that nothing goes wrong at the last minute. Find out how the disappearance of a critical member of the Morris Dancing troupe threatens the wedding plans – and how the women of the WISE Enquiries Agency have to come to the rescue. 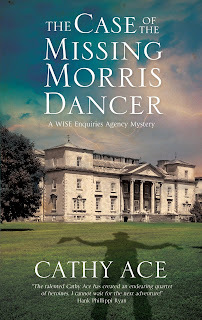 THE CASE OF THE MISSING MORRIS DANCER is the second in the WISE Enquiries Agency Mysteries' series and is available NOW! I have not read one of your books as yet. I loved the post though and hope to read one soon. Thank you, fun post and pics. It's amazing how so many of those old churches remain. Thank you for the opportunity to get one of your great books. Thank you for the chance! This is a new series for me. This looks good and so do those Welsh Cakes. I am attending a wedding next month but I don't think it will be anything like this. 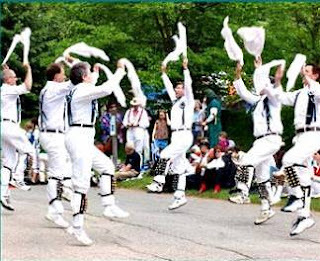 Perhaps they can book some Morris Dancers? Thanks for the giveaway. Interesting. I read a reference to Welsh cakes a day ago. When I looked them up I found two rather different recipes. What do you consider a "proper" cake? Thanks Mother knows best, right? Love the sound of this book. Can't wait to try it! German chocolate. Glad you like the sound of it :-) German chocolate??? Oh my goodness! So happy I came across your post on the Save Our Cozies Facebook page! This looks like the perfect series for me to read next. Can't wait to get started on it! This sounds interesting. I will have to read more of this author's books. I am a Cathy Ace fan! I loved The Case of the Dowdy Dowager...the setting, the clever dialogue, and the engaging story. I would love to have an opportunity to continue my WISE journey. I've enjoyed every book so far.....waiting for the next. 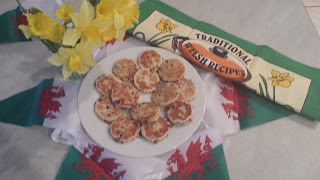 I made my weekly batch of Welshcakes yesterday! such a beautiful cover! I'd love a copy! Sounds like a fun book. Thank you for the opportunity to win a copy! The Dowager had me hooked at the opening statement. Sounds great...please enter me and thanks for the review. Love books set in other locals this the states. read. thanks for offering a copy. I love these mysteries. Thanks for the contest. I haven't read any of your books but I really want to, new books to me!! It sounds amazing!! I'm all for a good wedding! I love ancient buildings too. I haven't read anything by Cathy Ace, but "The Case of the Missing Morris Dancer" sounds like an intriguing read. Definitely adding to my TBR list. The dance theme interests me. Love to read this one. Thank you for the chance. It sounds interesting. I have one of your Cait Morgan books. You don't see Morris dancing mentioned much in books, but I think I remember reading about a character doing that in one of the Aunt Dimity books by Nancy Atherton. I think I remember reading about Morris dancing in an Aunt Dimity book. I have one of your Cait Morgan books.